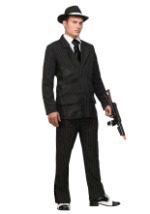 Taking over daddy's business will be easy with this tommy gun handbag! 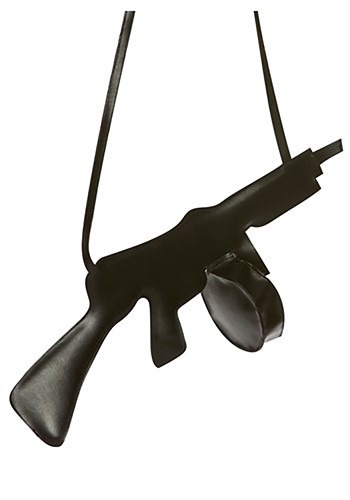 This fun novelty handbag is shaped like a tommy gun and has a faux leather appearance. 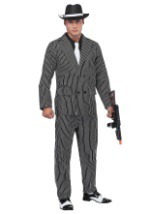 The entire gun is black and it is bendable so that you can shape it how you like. 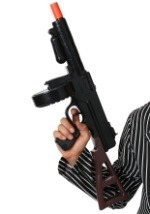 The small purse compartment is the circular ammo box that hangs down from the gun and measures 4 inches in diameter. 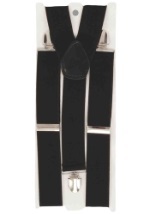 The long, attached black shoulder strap makes this accessory easy to take along wherever you go. 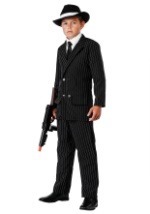 Be sure to also check out our gangster hat and shoes!